WildAire is pleased to announce that we will be the featured guest winery pouring at NW Fresh Seafood Market in Newberg. Come and join us on Thursday, April 5th from 3-6pm. 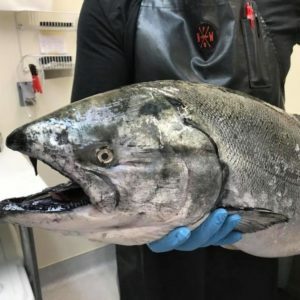 NW Fresh Seafood has the best selection of tasty seafood in the valley! We are so proud to be able to showcase our wines in such an amazing fish market. Please stop by for a taste and grab a bottle to pair with your fresh catch or browse from our selection online! A big salmon waiting for you to pair with some WildAire!